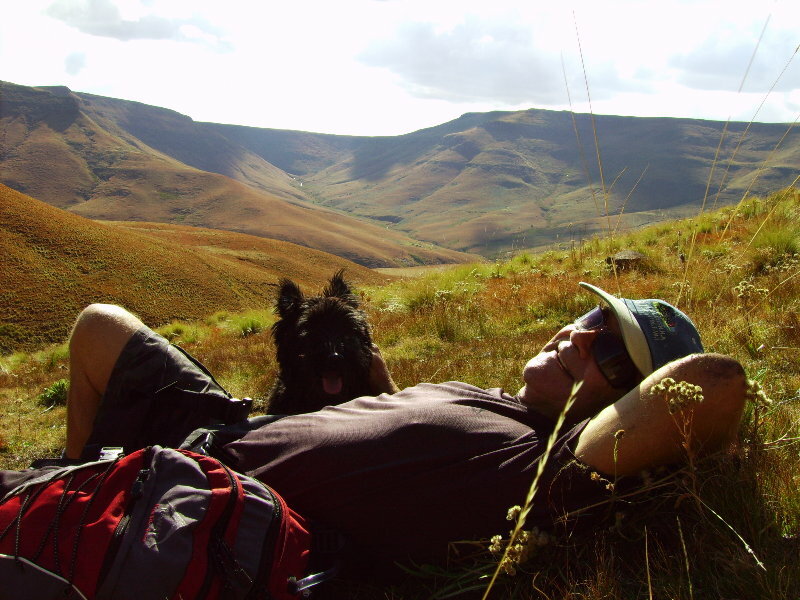 Hike through the spectacular Southern Drakensberg, reaching altitudes of 2700m. Home to the Lammergeier (Bearded Vulture), Black Eagle, alpine wildflowers and various small wildlife, this hike leaves you with breath-taking memories. Overnight at B&Bs along the way. Take with you only day packs while your backpacks are transported to your next destination. Experience true Eastern Cape hospitality and the natural splendour of the Southern Drakensberg. 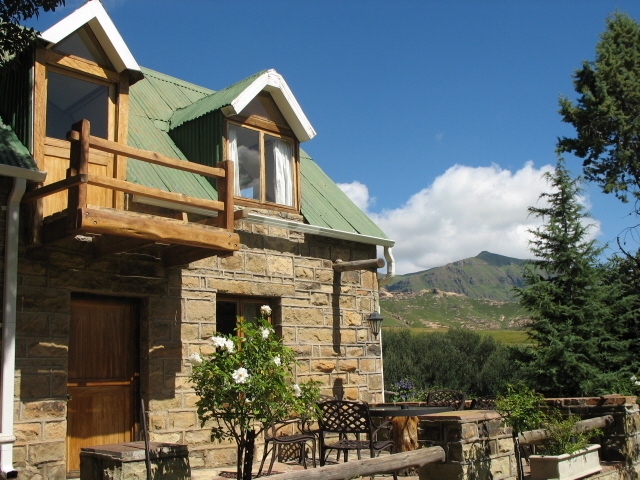 A trip to remember – where hikers overnight at B&B accommodation for 5 days. More luxury for the older hiker who enjoys their comforts. 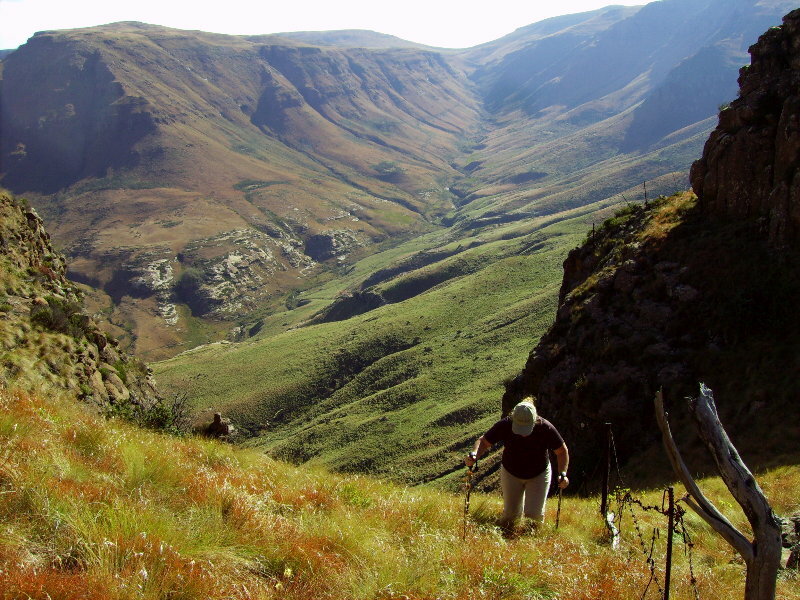 Terrain is montane grassland and altitudes range from 1800m to 2700m above sea-level that afford the hiker spectacular views of the Southern Drakensberg & Maluti mountains of Lesotho. 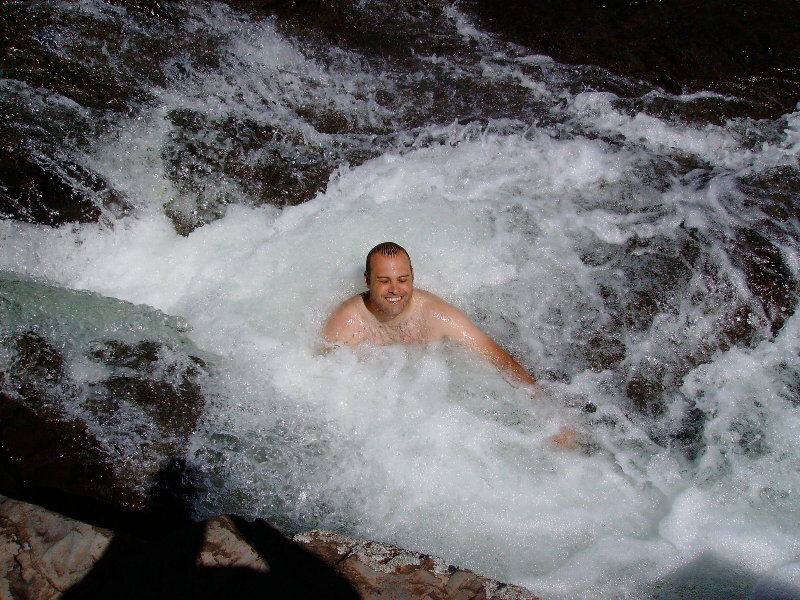 Hikes are tailored to the groups needs i.e. strong hikers will be able to walk up to the peaks of the Southern Drakensberg whereas more moderate hikes are available for those wanting a more sedate walk. Hikes are unmarked and therefore guides are needed. Each hiker will be supplied with a lunch-pack. Dinner will consist of a 3-course meal and breakfast is a farmstyle affair. Wildlife: The hike traverses well-managed farmland. Smaller wildlife can be spotted e.g. Mountain Reedbuck, Grysbokkie, black-backed jackal, lynx, dassies, porcupines as well as 282 species of bird including black eagle, cape vulture, crested crane and bearded vulture or Lammergeier. Climate: A typical highland climate with moderate summers and cold winters. The area has summer rainfall with afternoon thunderstorms. It is suggested that you start your trails early in the morning so that you have descended the mountain soon after lunchtime. Arrive at Rosstrevor Guest Farm (20kms from Barkly East), meet up with your fellow travellers and relax after your journey into the North Eastern Cape. Let Phil & Kate spoil you with a sumptuous dinner in their restaurant – housed in an 1890s sandstone barn. as they brief you on the route. Now is the time to check your bags. Remember, you dont need to toss out all those extra goodies, as you will only be carrying your daypacks. 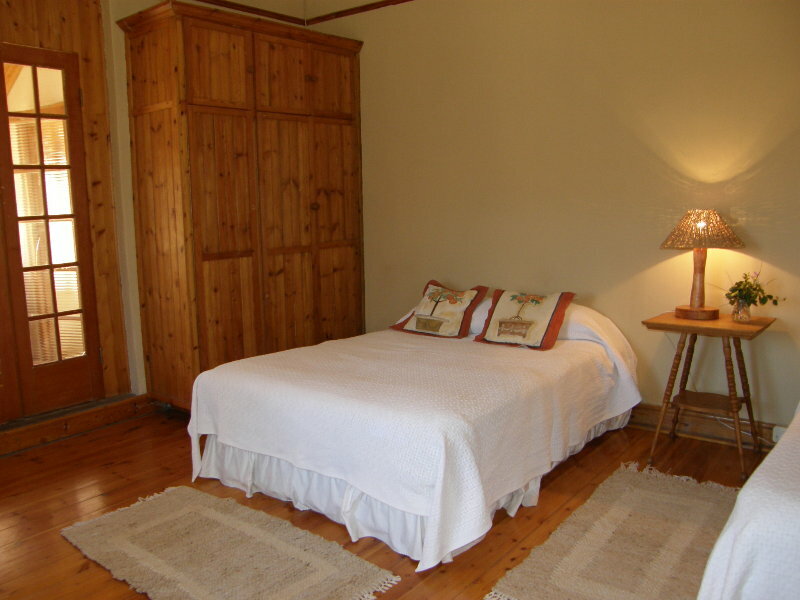 Accommodation will be provided in a charming Victorian farmhouse. After breakfast, set out on your hike – a more challenging walk awaits you as you climb from Pitlochrie over to Balloch a natural heritage site. Take in the stunning sandstone formations, home to Bushman paintings, dassies, waterfalls and sparkling pools inviting you for a swim. Walk along a gurgling trout river to Glenshee Homestead or Willowstream Cottage, your accommodation for the night, nestling in one of the prettiest valleys in the area. Meet your hosts, Margy & Graham before settling down to a delicious farm dinner. A steep climb through Edgehill brings you out on top of the world as you admire the breath-taking views over the Wartrail & New England valleys, before descending to Bidstone Guest Farm where Andrew & Janet invite you to rest for the night. Reminisce over the past 5 days before climbing into a welcoming bed, resting before your trip home tomorrow.